The forces that shape the natural world — gravity, erosion, material fatigue and subsequent fracture, the smoothing pulse of fluid — are also found within the realm of the body. 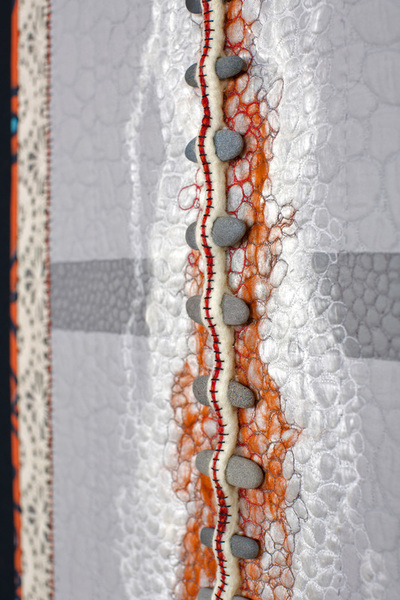 Veins course through rock, creating weakness but extreme beauty, and our bodies are similarly imperfect, yet perfect. I am mesmerized by that which topples our sense of strength, widens our fissures and defies our ability to heal — it’s real that something terrifyingly small could leave nothing left in one's world but stone. 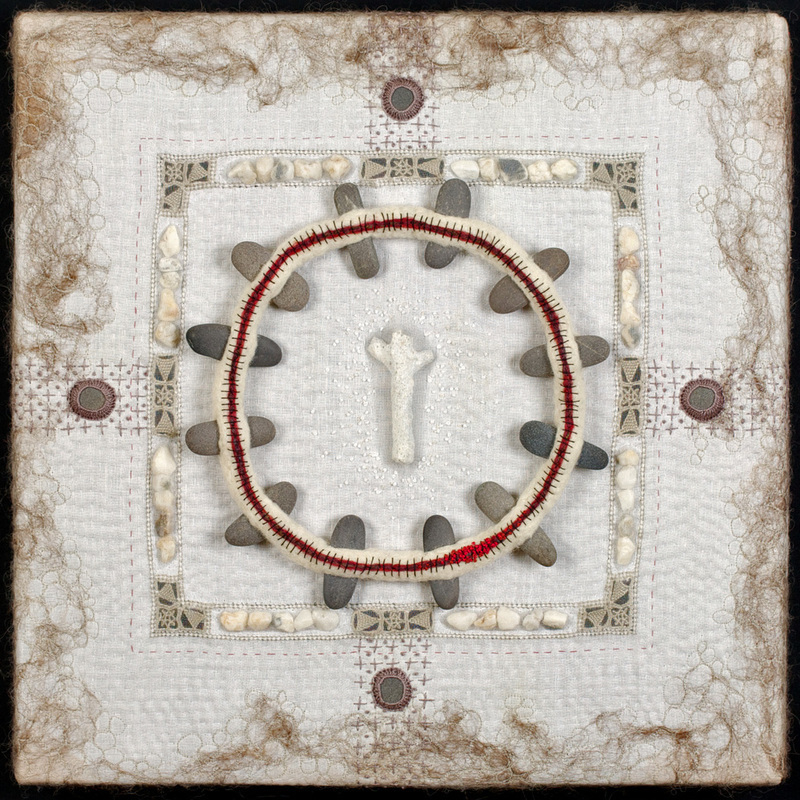 "Vein #3" (16" x 16" x 2") Vintage domestic linens, unspun wool fiber, silk organza mesh, found objects. 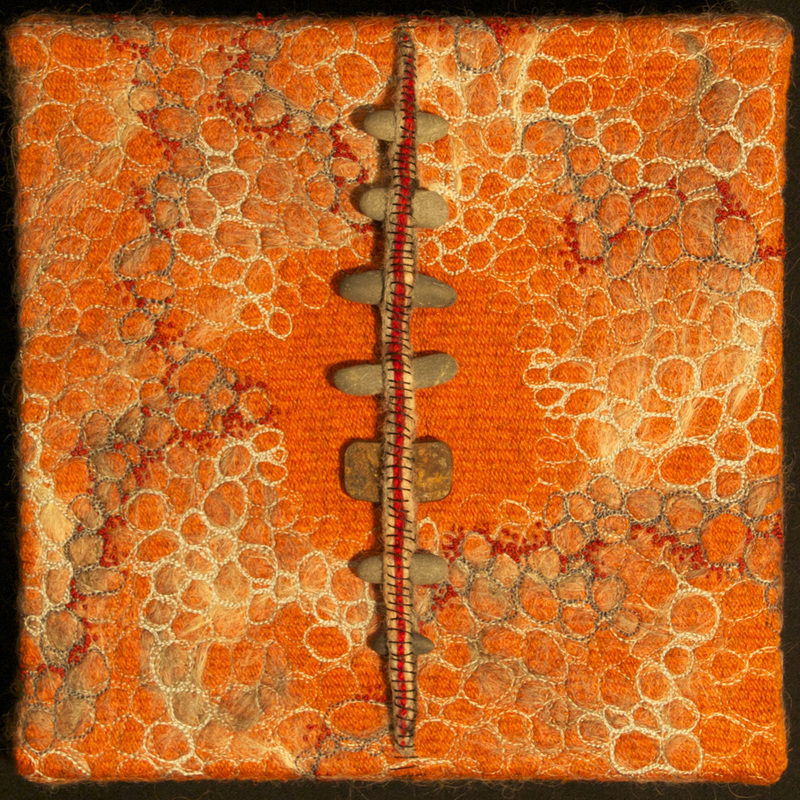 Hand felted, machine & hand embroidered, hand quilted, upholstered onto cradled board, 2015. Private collection. "Vein #4" (16" x 16" x 2") Vintage wool, unspun wool fiber, found objects. 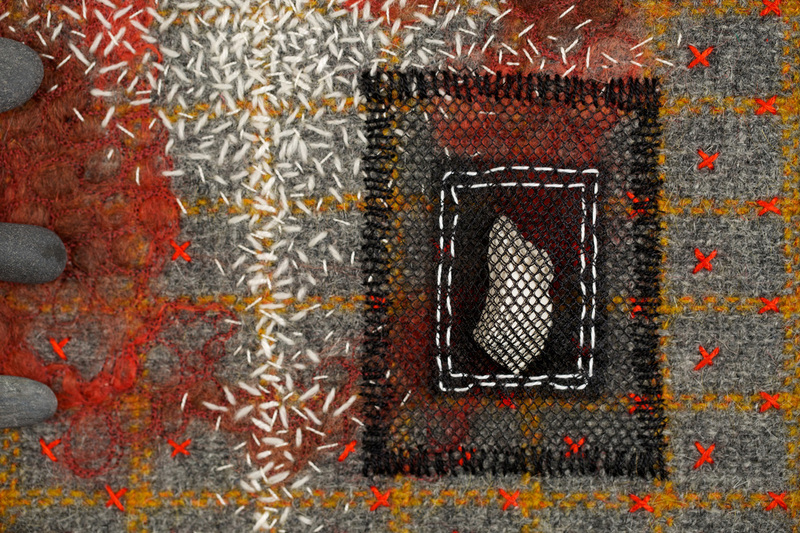 Hand felted, machine & hand embroidered, hand quilted, upholstered onto cradled board, 2015. Private collection. "Vein #2" (10" x 10" x 1.5" ) Vintage wool, unspun wool & silk fiber, found objects. 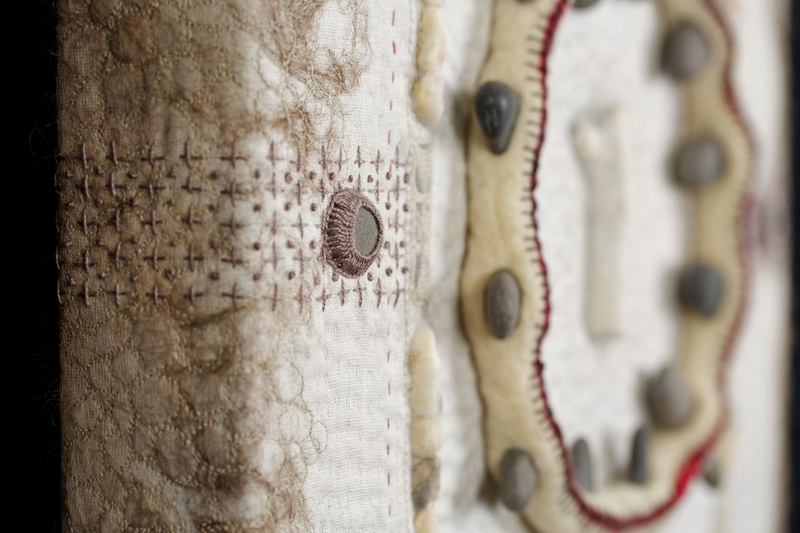 Machine & hand embroidered, upholstered onto cradled board, 2014. Private collection. 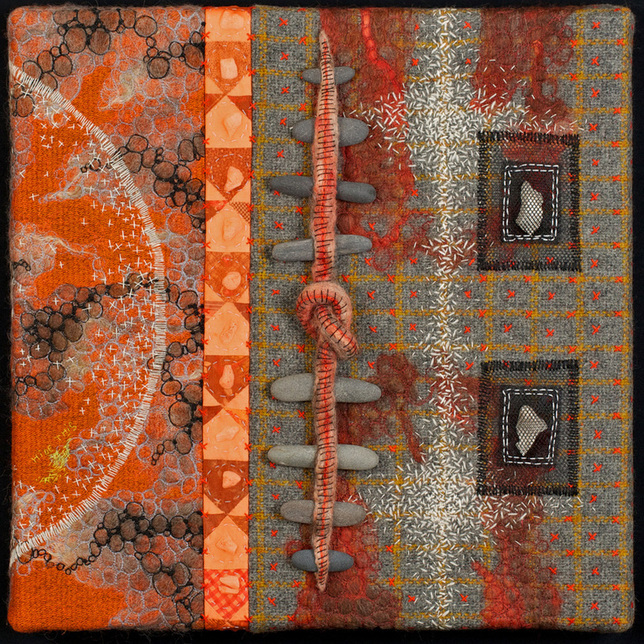 "Vein" (19” x 41”) Vintage textiles, unspun silk & wool fiber, found objects. Machine & hand embroidered, hand quilted, 2014. Private collection. 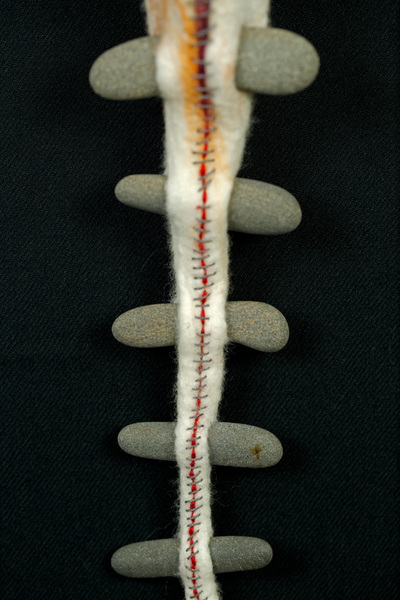 "Inner Life" (7" x 15"). 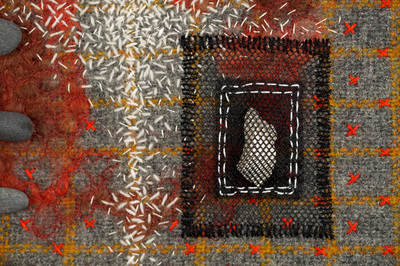 Felted wool, found objects. 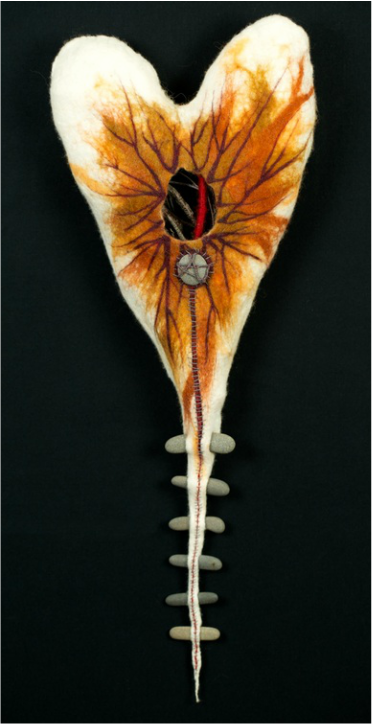 Hand felted & embroidered. 2013. Private collection.